Fill your email address to receive an email each time a new post is published in the blog. 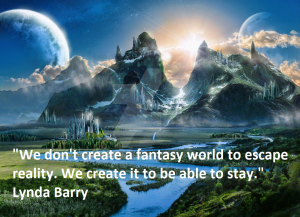 (iii) the possible embedded cognitive functions of fantasy literature of better knowing and comprehending our reality. The holder of the position will represent the field of English literary and cultural studies from the early modern period up to and including the 18th century in research and teaching, with a particular focus on Shakespearean drama. Teaching responsibilities concern the bachelor’s and master’s programmes in English and American studies, the English teacher training programme, and the doctoral programme. Research and teaching should focus on literary studies and philologically-oriented cultural studies. In addition, the holder of the position will seek points of contact with existing research collaborations at the institute and at the faculty. Applicants are expected to have a record of excellent research activities and teaching experience in the above-mentioned fields. The candidate is expected to have a habilitation or equivalent qualification in English Literature, excellent academic qualification in research and teaching for the relevant subject, and a very good command of German. In addition, we expect gender mainstreaming competence. Please submit your applications stating the reference number BV/19/98 ex 2018/19 by March 27th 2019 at the latest. The international summer school is organised by the Interuniversity Centre for the Study of Romanticism (Bologna branch), in partnership with Lerici City Council and the Cultural Association “Amiche e Amici di Mary Shelley”, to be held in Lerici (Italy) between 17 and 21 June 2019. The master classes and workshops offered by the Summer School will deal with issues related to British and European Romanticism, focusing in particular on the personal and cultural connection between some of the most famous Romantic poets, writers and critics (including PB Shelley, Mary Shelley, Lord Byron, Women Romantic Poets), the city of Lerici and the famous Gulf of the Poets. The Summer School is addressed to postgraduate students and early stage researchers (MA, PhD students, Post-docs), as well as independent scholars of Romantic literature and culture. This issue aims to explore various inter-related fields within the vast domain of European crime literature, with a particular focus on the British Isles. The literary and cultural phenomena we intend to investigate range from street literature, with its variety of broadsides and chapbooks, to drama (from revenge tragedies to domestic tragedies) and providential fictions, including the translation and transnational circulation of crime stories. While studying the connection between real crime and the literary imagination at various levels, this issue delves into the ideological import of crime narratives intended as prevention of crime, a form of psychological ‘policing’ that compensated for the absence of organized police forces by reasserting the inevitability of mundane and supernatural punishment. 30th June 2019: Please send your proposal and working title to the editors maurizio.ascari@unibo.it; gilberta.golinelli2@unibo.it. 20th July 2019: Notification of proposal acceptance. 10th January 2020: Submission of articles to the editors. 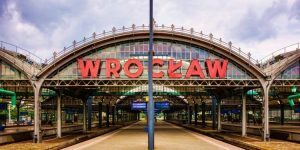 This is to remind members of ESSE-affiliated associations and their PhD students that the deadline for applications to the ESSE Doctoral Symposium 2019, to be held on 27 and 28 August in Wrocław (Poland), is rapidly approaching: 28 February 2019. Full instructions about how to apply (and the opportunities for financial support) are available at http://essenglish.org/doctoral-symposium/. This conference had several objectives. First, we wanted to celebrate the 40th anniversary of RADAC (Recherches sur les Arts Dramatiques Anglophones Contemporains), an association of scholars and theatre professionals set up in France in 1978. Second, as a group which increasingly involves members from other countries, we wanted to look at the wider issue of the place of contemporary Anglophone theatre in continental Europe. Finally, by involving speakers and participants from many different European countries, we thought that the conference would allow us to consider how to increase collaboration amongst drama and theatre scholars throughout Europe, with a view to setting up a European network. We decided therefore to include in the conference programme a session in which this could be discussed. 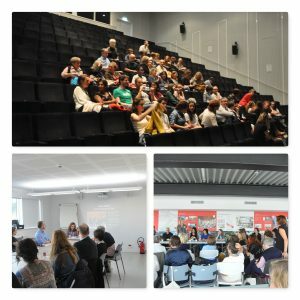 The conference ran for two complete days and brought together around 70 academics and theatre professionals, translators and publishers. Papers were given in parallel panels during the morning. In all, twenty papers were given dealing with a wide range of playwrights, types of play or topics concerning the Czech Republic, Greece, Italy, Malta, Montenegro, Portugal, Serbia, Spain and France, of course. All panels were chaired by specialists coming from the various countries mentioned as well as Britain and Germany. The panels all included a mix of nationalities while speakers ranged from PhD students to internationally recognised scholars. The papers gave rise to fascinating discussions in which our common interest in Anglophone theatre was confronted with the specific contexts of theatre production in other European countries (translating, publishing, programming performing …). The afternoons were organised differently. There were two round-tables: one brought together theatre practitioners (writers, actors, directors) who discussed the challenges of producing Anglophone theatre in a non-Anglophone context. A second round-table focused specifically on issues relating to translation and the publishing of translated plays (round-table participants came from France, Germany and Italy). Another session was organised in which those scholars who belonged to a network of theatre researchers extending beyond their own institution presented their group. This included CDE (Contemporary Drama in English) in Germany which functions in a similar way to RADAC, the Contemporary Drama Barcelona group from Spain, and one from Rome. All groups brought up the question of funding conferences, publications, supporting doctoral students etc. A thorough presentation of European funding was given by two representatives from Sorbonne University. Many of the participants expressed the desire to collaborate at the European level. Two keynote addresses were given. Elisabeth Angel-Perez (Sorbonne University) discussed the presence of Anglophone theatre in France and the role played by certain directors and translators in getting these works performed in France. Peter Boenisch (Royal Central School of Speech and Drama) looked at the work of English directors on the continental stage, insisting particularly on two directors (Robert Icke and Joe Hill-Gibbons) in Holland, Germany and German-speaking Switzerland. Each day ended with an appropriate climax. Day one concluded with An Irish Story by Kelly Rivière (surtitled by students from Paris 8 under the guidance of Marie Nadia Karsky). At the end of day two the conference participants were treated to an interview of celebrated playwright Simon Stephens by Dan Rebellato (Royal Holloway London). Simon Stephens is an ideal dramatist to interview in relation to the theme of the conference. Firstly, his own work has been put on across Europe, notably thanks to his collaboration with Sebastian Nübling. Secondly, Simon Stephens has contributed to the circulation of non-Anglophone plays in the UK, having translated/adapted works by playwrights such as Brecht, Chekhov and Ibsen. The discussion between Dan Rebellato and Simon Stephens brought out the importance of crossing borders in Stephens’s work and in the Anglophone theatre in general. Despite the many serious themes evoked, Stephens and Rebellato managed to end on an optimistic note about the role of theatre in Europe to the delight of the conference participants. A selection of the papers will be published in 2019 along with highlights from the round-table discussion in a special issue of Coup de Théâtre. The outcome of the 2016 referendum and the consequences the United Kingdom and Europe are currently facing in its aftermath will have a deep effect on various sectors within academia. It will not only affect research funding, the recruitment of talents and cross-border collaborations between academics on the continent and in the United Kingdom, but also have an impact on student and staff exchanges. Above all, however, Brexit and the debates surrounding the referendum posit new challenges to the role of academics in a renationalising Europe: the Vote Leave campaign was driven by an anti-establishment, anti-supranational, and anti-European rhetoric that did not stop short of academia. The short- and long-term implications of Brexit on academia and the relationship between British and EU universities are hard to predict, but need to be addressed. 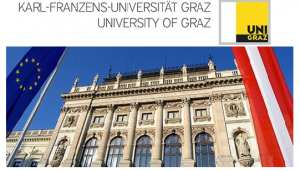 While some universities have already reacted to the looming Brexit by founding research networks to support the exchange with researchers from the UK (such as the BritInn-network at the University of Innsbruck) or by establishing strategic partnerships with research institutions in the UK, more initiatives are needed to further support long-term collaboration post-Brexit. This special issue on Brexit and Academia aims at scrutinizing the consequences of Brexit for the European research landscape, future collaborations between colleagues from Europe and Britain, and academia as a whole from a wide range of different (trans-)disciplinary perspectives. Detailed proposals (up to 1,000 words) for full essays (7,500 words), as well as a short biography (max. 100 words) should be sent to sibylle.baumbach@ilw.uni-stuttgart.de and Andreas.Maurer@uibk.ac.at by 31 October 2019. The general editors of the European Journal of English Studies are currently seeking proposals for two special issues of Volume 25 to be published in 2021. EJES presents work of the highest quality in English literature, linguistics and cultural studies. The journal’s acronym ‘EJES’ reflects on the journal’s aspiration to publish cutting-edge research within an outlook that questions boundaries between disciplines and cultural contexts. For us, ‘European’ does not describe a geography, but a situation in which ‘English’ is studied and taught in both Anglophone and non-Anglophone contexts and across a range of disciplines. EJES is published by Taylor & Francis, a division of Routledge. The journal is peer reviewed and has an emphasis on interdisciplinary projects. Numbers of the special issues have been subsequently published by Routledge as books. The Gender Studies Network is delighted to welcome its new members. An augmented Directory has just been published. To mark the centennial jubilee of the Faculty of Arts, University of Ljubljana, Slovenia, the Faculty of Arts and the Slovene Association for the Study of English are organizing an international conference. Entitled A Hundred Years, A Thousand Meanings, the 5th SDAŠ conference will take place from 19th to 21st September 2019 at the Faculty of Arts in Ljubljana. As the title suggests, the conference welcomes a critical discussion on the topics related to the development of anglophone studies over the last century, their place in the globalized societies of today, as well as the directions they may take in the future. Proposals for papers are invited in the fields of literatures in English, linguistics, translation/interpreting, English language teaching, English for specific purposes, and cultural studies. Interdisciplinary research is strongly encouraged to convey as broad a range of insights as possible. You are welcome to submit a proposal for a 20-minute presentation addressing the above topics. Abstracts of between 200 and 300 words can be submitted using Easychair. The due date for the submission of abstracts is 25th February 2019. Authors will be notified about the acceptance of their proposal by 1st June 2019. A selection of (reworked and expanded) papers presented at the conference will be published in the academic journal ELOPE. Any enquiries can be addressed to sdas@ff.uni-lj.si. The online open-access academic journal de genere offers a space for interdisciplinary research and critical debate in gender and postcolonial studies. 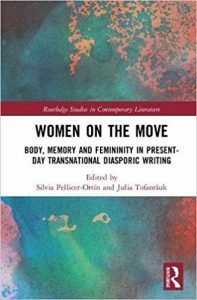 The journal will be published annually, with issues focusing on research on and around ‘genres’ and ‘genders’, moving within both juxtaposed semantic fields, and within literary, media and artistic forms and formations. The aim is that of mapping and investigating the transformations brought about by the emergence of the “unexpected” subjects of Western Modernity. Dispersal, or ‘bussing’, was introduced in England in the early-1960s after white parents expressed concerns that the sudden influx of non-Anglophone South Asian children was holding back their own children’s education. It consisted in sending busloads of mostly Asian children to predominantly white suburban schools in an effort to ‘spread the burden’ and to promote linguistic and cultural integration. Although seemingly well-intentioned, dispersal proved a failure: it was based on racial identity rather than linguistic deficiency and ultimately led to an increase in segregation, as bussed pupils were daily confronted with racial bullying in dispersal schools. 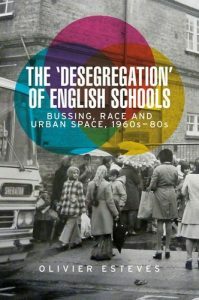 This is the first ever book on English bussing, based on an in-depth study of local and national archives, alongside interviews with formerly-bussed pupils decades later. Olivier Esteves is Professor of British Studies at the University of Lille, France. letters of support from two national associations. a letter in which the candidate will express his/her agreement with the candidacy. From the applications and nominations received, the Committee will select the best candidates (maximum of three for each office). The two officers will be chosen by vote at the ESSE Board meeting in Wroclaw, 29–30 August 2019. The project proposal was presented by Patrizia Anesa (University of Bergamo, Italy) and Barbora Chovancová (Masaryk University Language Centre, Brno, Czech Republic). Members of the project are: Ismael Arinas Pellon (Universidad Politécnica de Madrid, Spain), Shona Whyte (Université Nice Sophia Antipolis, France) and Halina Sierocka (University of Białystok, Poland). The workshop gave the participants the chance to discuss the project proposal and offer a definition of the first operational steps. 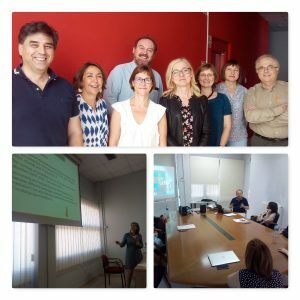 Some of the sessions were also open to members of the Comm&Learn Research Team based at Universidad Politécnica de Madrid (in particular Carola Álvarez-Bolado Sánchez, José Luis Llavona Arregui, Luis Dochao Moreno, and Éva Jakusné Harnos). The workshop also allowed us to discuss future strategies and potential forms of cooperation, as well as to share ideas about how project findings can be presented and circulated to colleagues internationally. The term mediation can denote both a tool to reach a consensus in ADR (Alternative Dispute Resolution) and a language skill which enables communication over a linguistic barrier. The project intends to address both aspects. It also aims at defining good practices in the field of mediation to be developed for the legal profession, identifying educational needs and gaps in the area (emerging across different countries), and producing flexible programmes for legal English in a globalized, fast evolving legal world. The approach is not limited to linguistic features but will be contextualised by information offered by practitioners and teacher educators. The complexity of mediation dynamics encompasses phenomena such as the popularization of information and its recontexualization, especially in teaching and training contexts. Thus, mediation will also be observed from a communicative perspective as a skill which has been relatively overlooked in ESP teaching (Chovancova 2016). The project will investigate practices which can be implemented in the teaching of Legal English in light of the importance of such discursive practices in making informed decisions. Thus, the analysis also aims to evaluate to what extent mediation may be defined as a crucial skill in legal language instruction and teacher education, and will provide practical applications of the integration of mediation into the legal English syllabus. In particular, legal language learning is inherently linked to content construction in Content-Based Instruction (CBI) and English Medium Instruction (EMI). Thus, a syllabus focusing on technical mediation material, interactive teamwork, and communication skills is crucial for efficient teaching and learning. Practical examples of qualitative and quantitative results from courses involving different types of technology-mediated teaching and learning in different universities will also be considered. The overall objective is thus to offer insights into ways of enhancing and modernizing legal English teaching and learning by taking into account skills which are often ignored in traditional materials, but which in turn represent essential abilities in specific professional contexts. This workshop represented a great opportunity to discuss the strengths and weakness of the project and exchange ideas with other experts in the field. We would like to express our gratitude to ESSE, which supported it and made it possible. Silvia Pellicer-Ortín is a Lecturer in the Department of English and German Philology at the University of Zaragoza, Spain. Julia Tofantšuk is Associate Professor of British Literature and curator of Liberal Arts in Humanities programme at Tallinn University, Estonia. The ESSE Collaborative Project Workshop Scheme offers seed funding of up to 8,000 Euro to support a preliminary meeting of European researchers working towards a collaborative research project in the field of English Studies. The main purpose of this grant is to encourage prospective co-researchers from different national associations to plan a bid for a larger award from alternative funding sources; it also aims to resource the time and space to work out practical and intellectual details of the proposed project. Applications will be assessed on the quality and originality of research, evidence of sustainable international collaboration, and the feasibility of the project and its development. The proposed workshop should be designed to explore a collaborative research project that falls within the subject area of ESSE. The main purpose of the workshop should be to plan or facilitate grant writing for a larger award, although other activities connected to the development of the project may be involved. Applications should be submitted jointly by two full ESSE members from two different national associations. Other participants in the proposed workshop may be drawn from the same institutions or associations, but international diversity and collaboration across associations will be one of the criteria for assessing applications. Proposals can include postdoctoral and postgraduate researchers. Any participants who are not members of their national associations will be expected to join where possible following a successful application. The ESSE Board members are excluded from proposing or taking part in the workshop. The grant will only fund workshops of the type described above; it does not support other types of events, such as conferences, symposia, colloquia, seminar series or guest lectures. The grant may be used for reasonable expenses only: these include travel, accommodation and subsistence. Costs of meeting room bookings should be met by the hosting institution. The grant is designed to support a two-day meeting, and budgets should be designed to reflect this structure unless there is good reason for an alternative. The grant will be of a maximum of 4,000 euro per application. Successful applicants are expected to submit a full financial report with a detailed overview of expenses, including receipts and invoices. They will also be required to report back to ESSE on how the workshop objectives have been achieved and what plans are in place for the follow-up bid. Workshop participants may also like to write up their meeting for the ESSE Messenger. Successful applicants should acknowledge support received from ESSE in subsequent publications or publicity for the project. The ESSE logo should be included where appropriate in printed or electronic materials related to the project. Funding plans: details of funding body, scheme and amount of award to be applied for, where possible. Recognising that it is difficult in some situations to obtain access to books necessary for research without purchasing them, and recognising also that some ESSE members have financial difficulties, ESSE awards some small grants to its members for the purchase of books in connection with specific research projects. Books that are not held by the applicant’s university libraries and cannot easily and quickly be obtained by interlibrary loan. Books that need to be available to the applicants over an extended period, longer than would be possible through a library loan. Books whose price would place a strain on the applicant’s available financial resources, for example, because of the high cost of the books concerned. ESSE requests that successful applicants donate the books to their university libraries when their research projects have been completed, so that other scholars can benefit from the books. Applicants for book grants must themselves be members of their national associations affiliated to ESSE, with the exception of PhD students from the Serbian Association for the Study of English, which does not consider doctoral students eligible as members; in this case, their supervisor must be a member of an association affiliated to ESSE. Grants are available for any research project, whether it is formally registered and recognised or simply normal individual academic research. However, it is not the intention to provide books for general academic purposes, e.g. as reference works to have on one’s bookshelf. The application deadline is 1 May 2019. Applications will be dealt with as quickly as possible. Books included in the application must be bought at the personal expense of the applicant between the application deadline and 30 June 2019. After purchasing the books, the winners will send the itemised receipts to the Treasurer of ESSE, Alberto Lázaro (alberto.lazaro@uah.es). The receipt(s) will include the name of the purchaser, the titles and the cost of the books (even if the purchases are electronic). Grant money will be transferred to recipients’ accounts before 15 July 2019. In 2019, ESSE will offer funding of up to €19,000 to help cover costs associated with a research trip. Type A: a number of bursaries of up to €1,500 each will be available for scholars in need of support to pursue a project or programme of research leading to the writing of their PhD dissertation. Type B: a number of bursaries of up to €1,500 each will be available for scholars already holding a doctorate or its equivalent. Applications are invited from all member countries. Awards are made on the basis of academic merit. Only one application per person is allowed. Bursaries may not be used to support research trips begun before the Bursary Committee has announced the outcome of the competition. Applications for Type A and Type B Bursaries will not normally be entertained from candidates who have previously been successful in that competition. In the case of both competitions A and B, winners are expected to make a short-term visit to a country where they, for example, identify an outstanding holding, collection or other type of material relevant to their research, or where they gather corpus materials or conduct an experiment. Conference participation is not supported by these bursaries; award winners may extend their visit at their own expense to attend a conference in the country concerned, but no part of the conference expenses will be covered by the bursary. Bursaries must be utilized and the study trips completed by the application deadline for next year’s bursaries, i.e. 1 March 2020. After completing the research trip, winners will be asked to send a financial report to the Treasurer of ESSE and a report about their results to both the Treasurer and the Chair of the Selection Committee. This latter report may be published in ESSE Messenger. Applicants for the first type of bursary are required to be members of their national associations affiliated to ESSE with the exception of the Serbian Association for the Study of English which does not consider PhD students eligible as members; in this case, their supervisors must be ESSE members. Applicants for the second type of bursaries must be registered members of their national associations affiliated to ESSE for at least one year (membership starting on 1 January of the previous year – this is to say, January 2018). The deadline for applications for both types of Bursaries is 1 March 2019.
for Type A bursaries, a letter of recommendation, sent directly via email to the Chair of the Selection Committee by the supervisor of the PhD candidate. Note: the names of the bursary winners and their projects will be published on the ESSE website. The deadline for the Winter 2018 issue of the Messenger has been extended to 15 October 2018. Click here for the CFP. Here are a few details about the forthcoming 15th ESSE Conference and its host city, Lyon (France). ESSE organizes an annual Doctoral Symposium, which continues a tradition dating from 2012 and is designed to provide a platform for young scholars to present and receive feedback on their work. The Symposium is open without charge to PhD students who are writing their theses in English Studies and are at least in the second year of work on their doctorate at the time of the Symposium. To be eligible, either their supervisor or they themselves must be known to the Treasurer of ESSE as a member of an ESSE-affiliated Association (or, in relevant countries, of a Department that belongs to an ESSE-affiliated Association) at the moment of application. The next Symposium will take place in the Institute of English Studies at the University of Wrocław (Poland) on 27 and 28 August 2019. How to apply to participate? How to apply for financial support? The multilingual context we live in leads to constant interaction between languages. As a result, there are various language contact phenomena that have become common practice among speakers and that are constantly shaping the individual’s language use and identity. 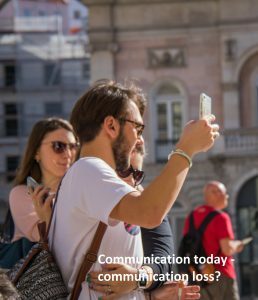 This issue of the ESSE Messenger invites scholars to send their articles on topics related to micro-sociolinguistics (borrowing, code-switching, translanguaging, polylingual languaging, metrolingualism, translingual practices), macro-sociolinguistics (language shift, language maintenance), and how these phenomena influence the speakers’ linguistic practices and identity.